Boating is more affordable than you think. If you consider all of the weekend activities and vacation expenses a small family can incur throughout the year, boat ownership is quite comparable — especially when you realize that a brand-new entry-level boat can easily be had for $250 to $300 per month. To get a little more boat for the budget, you might also consider buying a pre-owned boat. Use our loan calculator to see how a boat fits into your budget. Financing the purchase of a boat allows for lower monthly payments that are easier to manage for many first-time buyers. There are many options when financing a boat, but your best bet is to finance with a boat dealer or a marine lender. A dealer wants to make your buying process as easy as possible. One way they do this is by offering finance options in-house. Many dealers employ financial specialists, whose job is to help you with everything from completing a loan application to closing and licensing your new boat. Others rely on outside agencies to perform these tasks just as seamlessly, or they might refer you to a qualified marine broker. Marine Lenders: the National Marine Lenders Association (LINK), a national organization of marine lending specialists that understands the boat business. Since member banks and credit unions have made boat loans a key part of their business, they can provide competitive, low-hassle financing options and connect you with additional resources like surveyors and insurance companies. Home Equity: Depending on your mortgage situation, you might consider taking advantage of your home’s value with a home-equity loan or second mortgage to finance a boat purchase. If you already have a good relationship with a local bank, you might prefer to explore loan options with a banker who is familiar with your financial health. Keep in mind that not all branches have experience with marine lending. They might be more cautious about a used boat’s condition or might not offer as favorable terms as a lender that has made boat financing a central part of its business. Click here for more about Boat Loan Basics. Now that you have decided to embrace the boating lifestyle and have established a budget, you can start building and prioritizing your wish list. That budget will likely be a key factor in the decision to buy a new or pre-owned boat. Either way, the considerations for size and type of boat will be the same. People: How many people will you regularly have on board? Will you host just your immediate family or will you bring extended family and friends? Towing: If you are trailering your boat, keep in mind that the size of boat will directly impact the size of the vehicle needed to tow it. Location: Think about where you’ll be using the boat. If you’re planning to boat on larger waterways, then a slightly larger boat with a deeper hull might make more sense. Smaller waterways or shallow water might require a smaller vessel. Storage: If you are storing your boat at the marina, boat size will likely impact monthly storage costs. If you are storing it at your personal dock, what space constraints already exist? You’ll also want to talk to your dealer or marina manager about the potential need for winter storage. 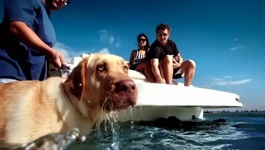 Activities: You’ll want to consider how your boat will be used. If you will be spending your time primarily on a singular activity, such as fishing or wakeboarding, then a fishing- or watersports-specific boat might make the most sense. These boats will be equipped with the features to support the activity, like rod holders and tackle storage or a wake tower and board racks. If you will be cruising or enjoying a variety of recreational activities, then a boat with more versatility and extra storage would suite your needs. 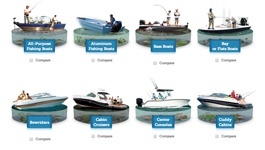 Use the Boat Type Selector to find right boat type for you. When it comes to the boat and the purchase process, there is more to know than the list price and features of a boat. Not unlike car buying, there are often a few additional costs not listed on the sticker price. Dealer fees, insurance, registration, accessories, storage and upkeep should all be discussed with the dealer early in your shopping to determine the full cost of boat ownership and to avoid surprises later. Use our tools and guides to help understand the total cost of ownership. Ask about accessories. Some gear, such as a safety kit, is often included with the purchase of the boat, while other activity-specific accessories might need to be added on to your purchase. Find out what to expect after you sign on the dotted line. What is the delivery process? You’ll want a thorough review of the boat’s systems before taking the keys so you have the confidence to operate your boat from day one. You should also ask about the procedure for scheduling maintenance or repairs with the dealer’s shop when the time comes. Get a head start by learning more about the first year of maintenance here. And before you depart on your first outing, find out where you can take a boater-education course. Learning basic seamanship skills and absorbing some local knowledge will give you a greater confidence level once you hit the water. Completion of boater-education courses might also get you a discount on your insurance. While you’re comparing boats, don’t forget to compare boat dealers. The quality and location of the dealership is an important part of your boat-buying and ownership experience. Click here for tips to identifying dealers who are more likely to provide a positive buying experience. Once you narrow down your search and are seriously considering one particular boat, it’s important to have a thorough inspection of other major components such as the engine, propeller, bilge (inside a boat’s hull), steering system, electrical systems and fuel tank. If you aren’t confident in your technical knowledge of these parts, you can enlist the help of an independent marine surveyor. Very similar to a home inspector, a surveyor will inspect the boat from top to bottom and inside out so you know exactly what condition the boat is in. Learn more about marine surveyors and find one in your area by visiting the Society of Accredited Marine Surveyors or National Association of Marine Surveyors. Turn it all on! Make sure all lights, gauges and electronics are in working order. Run the engine at full throttle underway to be sure it gets within the manufacturer’s maximum rpm range (get this online or from brochures). Under- or over-revving could mean the wrong prop was installed, which can lead to excessive engine wear. Open all lockers and hatches. Check that all hatches, stowage, and cabinets are securely installed and have a tight fit. Look for loose screws and sloppy gluing or fiberglass work. Tap the canvas. All tops and side curtains should be tight enough to bounce a quarter. There should be no gaps where spray or rain can get in. Zippers should have "hoods": overlaps that keep water out. Review the galley (kitchen) appliances. Microwaves, refrigerators, freezers and dishwashers can come loose while the boat is underway if not properly secured. Look for bolted and backed mounts. Take a walk around the hull. Look for any bumps, blisters or cracks. Any open cracks will need repair before the boat is back on the water. Blisters in the gelcoat can worsen quickly and be expensive to repair. Check the floor and storage compartments for rot and mildew. They can be indications of leaks and water damage. Give the upholstery a once-over. If you can see green algae around the seams, that’s a good indication the cushions are full of it. Look at the wiring. Bare wires and connections held together with electrical tape are a bad sign. Also, check under the dash and around the engine for any corrosion. Ask for copies of the boat’s maintenance and storage history. Regular maintenance is a good indication of the boat’s overall condition, and knowing that it was stored in a dry dock a large portion of its life means it was likely spared from any harsh weather.